The largely unknown Musk Ox is a marvel of evolution, adapting perfectly over time to survive in the punishingly inhospitable environment of the extreme Arctic, where temperatures can often dip to minus 60 degrees Celsius. These bovine mammals – despite its name, the Musk Ox is actually in the goat family – are found in numbers in only three places on the planet: Alaska, Greenland and northern Canada. Exquisitely light, downy and warm, qiviut is finer, and therefore softer, than cashmere and eight times warmer than wool. It provides an unmatched combination of superior thermal performance and unparalleled hand-feel. But there are other benefits to this amazing fibre. Unlike wool, qiviut is odourless when wet, will not shrink in water of any temperature, and is still able to retain warmth when soaked. Naturally hypoallergenic, qiviut feels exceptionally plush and luxurious against the skin. But the challenge is how to source this rare and difficult to acquire qiviut fibre from wild Musk Ox. Weighing up to 400 kilogrammes, an adult Musk Ox can typically produce up to 4.5 kilogrammes of qiviut every year which, unlike the outer guard hair, is shed naturally in an annual moult every spring. 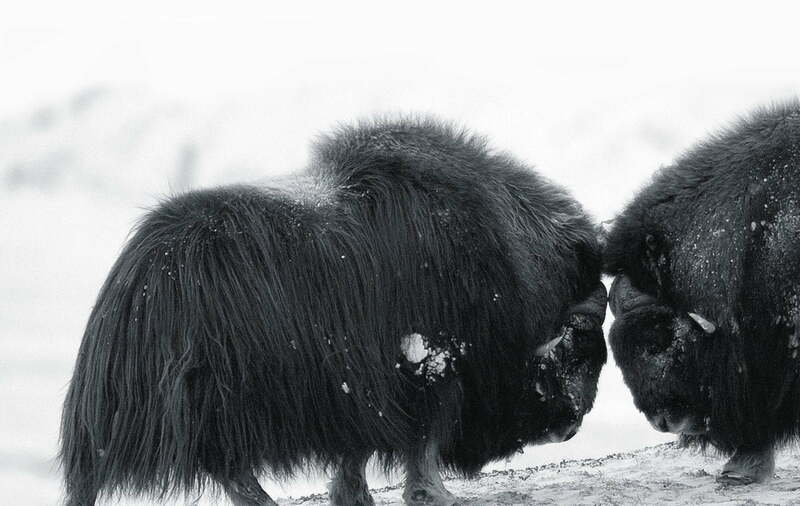 As qiviut falls off the Musk Ox, very small amounts can be collected from the tundra but this is highly inefficient and yields fibre of lesser quality because of the extensive processing required to remove dirt and other contaminants. QIVIUT & CO, therefore, acquires its high-quality fibres from sustainable harvesting communities in Canada and Greenland, where subsistence natives are permitted to hunt limited numbers of animals as a food source, that number being regulated annually by the respective governments to maintain the health of the herd. The natives keep the meat and sell off the hides to processors who comb out the fibre that QIVIUT & CO uses. The Qiviut Jacket represents the very first use of this truly extraordinary natural fibre to be incorporated in a manufactured garment. Because of the scarcity of Musk Ox fibre, all QIVIUT & CO products can, by necessity, only be manufactured in limited quantities. 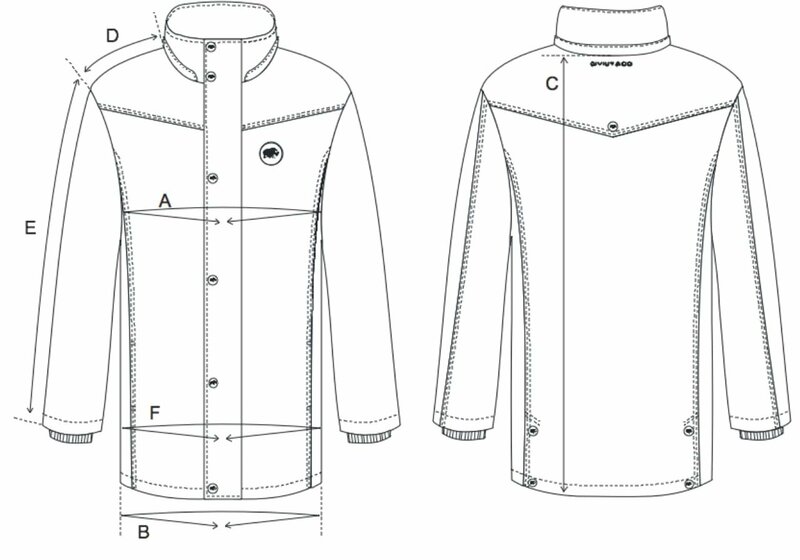 Accordingly, the initial production run of The Qiviut Jacket was limited to 500 pieces just under half of which have now been sold to discerning customers. Future limited edition qiviut products to be introduced later this year will include other outerwear garments as well as new knitwear items. Precisely due to the fact that availability is limited, qiviut is not discovered in shops. Therefore, if you would like to experience the incredible warmth and softness of this incomparable fibre for yourself, just complete your details below and a free sample with a gift offer will be sent to you. Feel the Fibre to really appreciate what qiviut is all about. I am a knitter, and know of qiviut fiber from companies that sell the yarn, though I’ve never used it. They keep their own herd of musk ox, and comb out the qiviut each spring. I’ve also read that Russia is trying to introduce musk ox into their extreme north central area. Have you ever considered running your own herd instead of relying solely on the hunt? If Russia is trying to get into the business, it sounds like more and more people are seeing the potential in qiviut. Musk-ox ranching might increase your availability. And they look like they would be friendly animals. Fascinating story! I’m a fan of your brand and I always thought that the musk ox is one of the true wonders of the natural world. There’s not enough information and publicity out there about the qiviut fibre and I’m glad that you guys have found a way to create a luxury garment with it.